Neuroplasticity – or brain plasticity – is the brain’s ability to adjust its connections or “rewire” itself based on experiences. Without this ability to change, humans would be unable to learn new information or recover from brain injuries. Plasticity is critically involved in all forms of learning including recovery of function after injury. Exciting events can enhance plasticity and accelerate learning. During these events the rush of adrenaline activates a nerve in the neck known as the vagus nerve. When the vagus nerve is activated it releases chemicals in the brain which enhances learning. Electrically activating the vagus nerve has been shown to enhance learning and recovery following a brain injury. Researchers at the Texas Biomedical Device Center have developed a therapy to help brain injury patients fully reengage in life. Targeted Plasticity Therapy (TPT) uses brain plasticity to “rewire” neural pathways around the injured parts of the brain. TPT allows people to recover motor, sensory and cognitive functions. Exposure can cause the immune system to develop immunity to recurrence of certain illnesses. In the early 1920’s, scientists discovered that intentional controlled exposure to a formulated cocktail including coat proteins from some of the era’s worst diseases compelled the immune system to develop resistance to specific contagions without the patient ever becoming sick. This early form of targeted plasticity therapy is now commonplace in western medicine and known to most of us as vaccinations. For much of our medical history, doctors and scientists believed that our brains remain largely unchanged after infancy. In 1977, a paper was published declaring that neuroplasticity, plasticity of the brain and neural pathways, was possible in youths. By 1991, researchers began to understand that adult brains and neurological systems were also capable of change. By the end of the century, scientists determined that direct brain stimulation could be utilized to affect neural plasticity, and the early 2000’s saw scientists begin to define parameters associated with targeted neuroplasticity. In 2009, researchers at the University of Texas at Dallas determined that stimulation of the vagus nerve, a nerve in the neck responsible for relaying information about the state of the body to the brain, could affect neuroplasticity in the brain. Stimulating the vagus nerve provides a means to deliver highly effective therapeutic alternatives to the high risk and invasiveness of brain surgery. 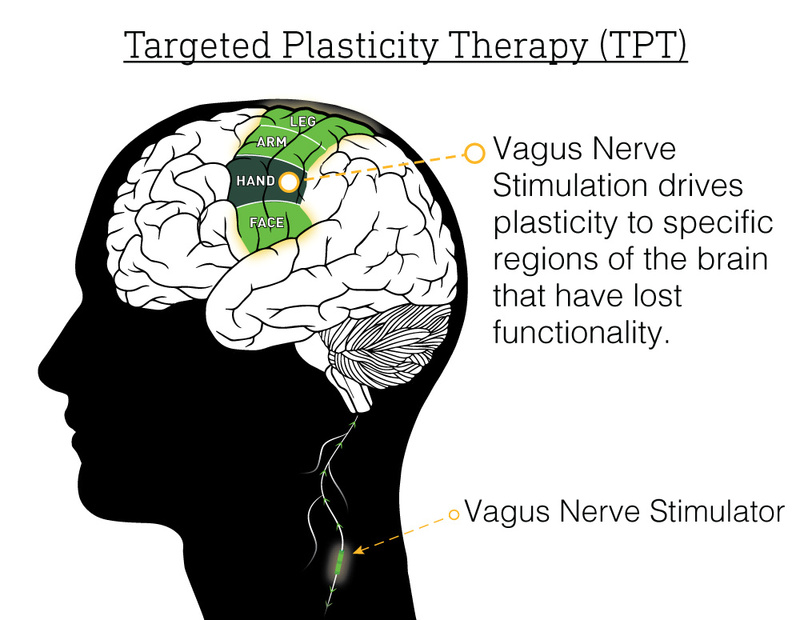 Neural Targeted Plasticity Therapy (TPT) uses stimulation of the vagus nerve delivered during specific rehabilitation and learning exercises to promote “rewiring” of neural circuits, dramatically improving recovery. TxBDC researchers are at the forefront of investigations into neuroplasticity and its role in the development of a wide range of therapies for disorders such as tinnitus and chronic pain, stroke, traumatic brain injury, autism, schizophrenia, Alzheimer's disease and Parkinson's disease. This revolutionary new approach to treating neurological disease will transform healthcare and restore quality of life to patients who have traditionally had no options. This wirelessly powered device developed by TxBDC engineers is used to stimulate the vagus nerve during rehabilitation. 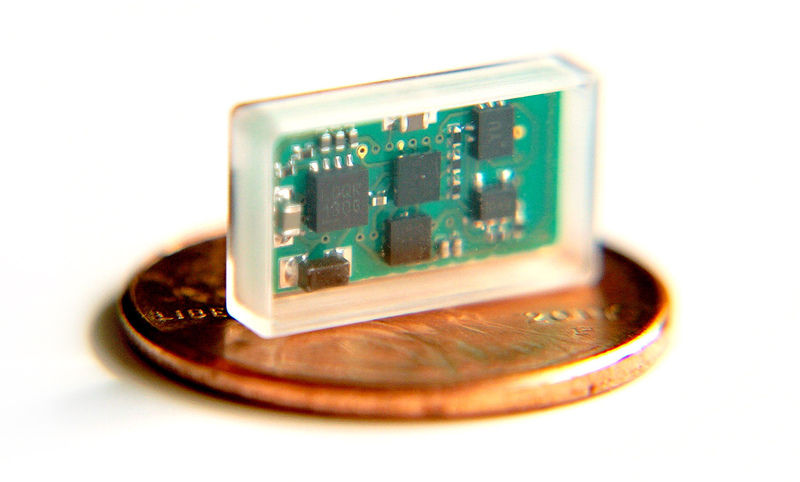 Targeted Plasticity Therapy uses a small implant on the vagus nerve to artificially activate the nerve which enhances recovery during rehabilitation. 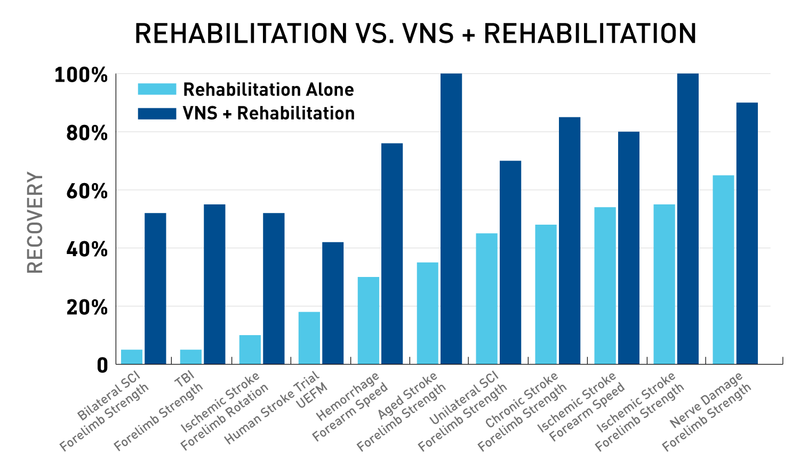 Vagus nerve stimulation (VNS) involves sending a mild electric pulse through the vagus nerve to release neurotransmitters in the brain at just the right time during therapy. For example, a patient trying to re-learn to use their hand would be stimulated when they successfully pick up an object. The neurotransmitters strengthen the connections in the brain that allow them to complete the task. Over time the patient’s abilities improve. By enhancing plasticity, patients recover to a greater quality of life than they would have had otherwise. TxBDC researchers have demonstrated that TPT is capable of targeting and strengthening the neural circuits following ischemic stroke, hemorrhagic stroke, traumatic brain injury, spinal cord injury and peripheral nerve injury. Moreover, we have shown that TPT can enhance recovery from sensory deficits including tinnitus and chronic pain. This therapeutic platform has been recognized by leading physicians for its transformative potential to treat a vast range of neurological disorders. If fully realized, TPT may one day be used not only to recover motor and sensory function following some of the most devastating neurological injuries, but could be used to treat learning disabilities and memory loss associated with aging. Discover how this platform technology has the potential to revolutionize how we treat brain injuries, disorders, and diseases including: Tinnitus, Stroke, Post-Traumatic Stress Disorder, Spinal Cord Injury, Phantom Limb Pain and Chronic Pain.